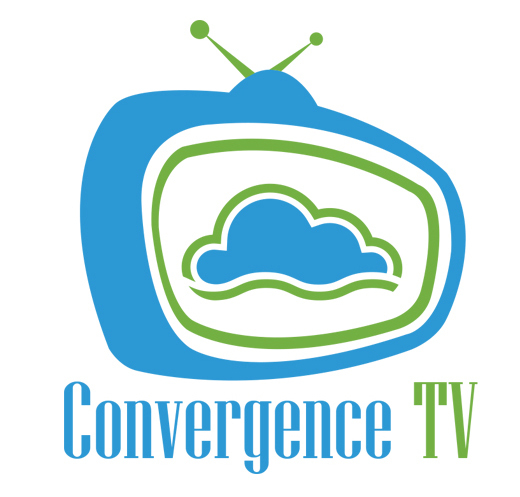 Register today for our Convergence TV Conference! Right of Way Fees Dispute – Appeal Sends Case Back To District Court. 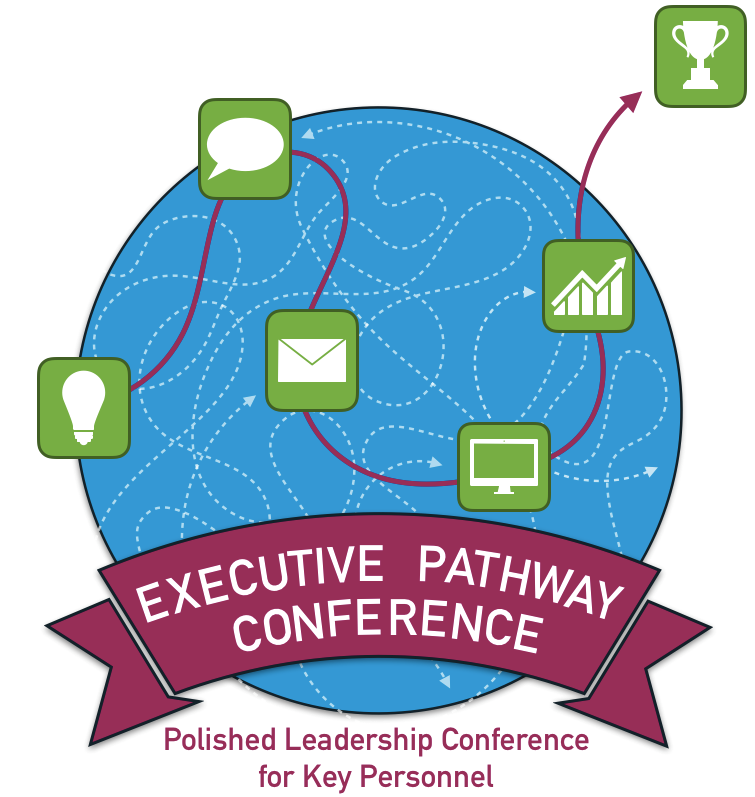 Mark your calendars for our Executive Pathways Conference! Registration is starting to fill up fast for our Convergence TV conference. Make sure to get your registration in early before it sells-out! The conference will be held on September 11th and 12th at the West Des Moines Marriott. We still have plenty of sponsorship opportunities available. If you’re interested in sponsorsing or registering for this event click here! The Board approved a 2019 budget with preliminary projections for 2020 and 2021. Thanks to the Finance and Audit Committee for their work on this year’s budget! Investment Advisor Matt Moklestad from Foster Group gave an update on fund performance and investment objectives. Caitlin Jarzen previewed upcoming Legislative Roundtables and other advocacy meetings, and the Board gave direction on advocacy topics for those meetings. The Board began discussions relating to the three open Board seats that will occur in early 2019 because Board term limits are being reached. Brittany Bonnicksen gave a report on upcoming events, including the September 11 and 12 “Convergence TV” conference and the October 2nd “Executive Pathways: Polished Leadership for Key Personnel” conference (formerly known as our Leadership Conference). The TelePAC reaps big returns! The TelePAC Pie Throwing Fundraiser generated a 544% return on investment – and was rather amusing to spectate! A HUGE THANK YOU to everyone who made this event a success – from the TelePAC Committee’s dedication to planning a fun and fruitful event to everyone who purchased a raffle ticket for the chance to pie these guys! A SPECIAL THANK YOU to Mark Harvey for expertly constructing the pie board, Gary Clark for his outstanding volunteerism, and of course, the gentleman who allowed their friends and colleagues to throw pies in their faces – thank you Mark Thoma, Dave Duncan, and Tom Conry! Another successful TelePAC FUNdraiser in the books! 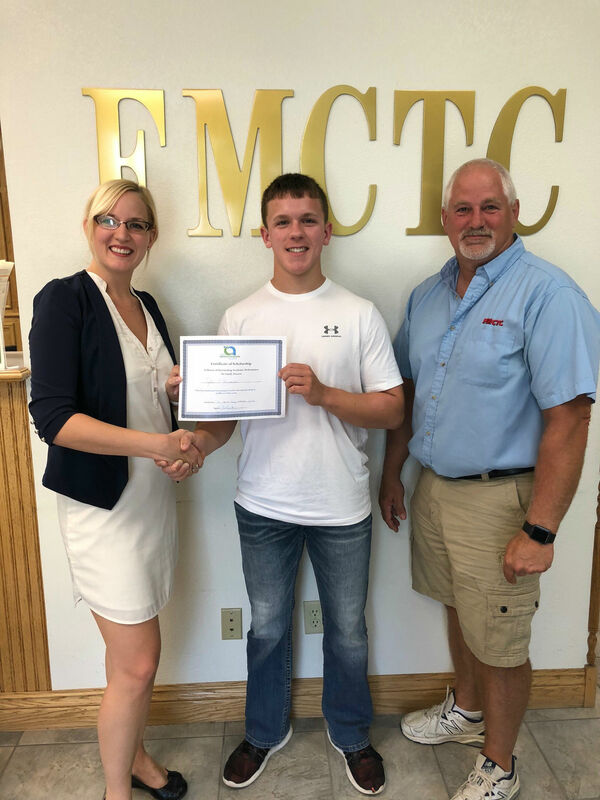 On Monday, July 30, Emilie Katter visited Farmers Mutual Cooperative Telephone Company to present the Alliance's Traditional Scholarship award to Tyler Buman. Tyler, son Jeff and Janet Buman of Harlan, IA, has been selected to receive a $6,000 grant payable over 4 years to attend Iowa State University for Agricultural Engineering. 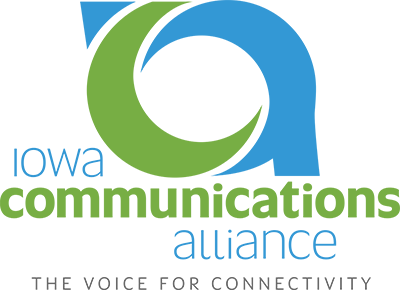 The Iowa Communications Alliance has been presenting scholarships to Iowa communities for the past 4 years with two additional scholarships available. The newest is available to high school seniors of the telco membership’s employees. “Our mission is to assist students from rural areas across Iowa with financial assistance to pursue higher education and to stay in rural Iowa after graduation. Tyler was quickly identified as a leading candidate based on his academic achievements and community involvement. We are pleased we can offer his assistance in fulfilling his goals,” sated Dave Duncan, Iowa Communications Alliance CEO. Click here for more information about The Alliance's scholarship opportunities! Two of our members have new job openings available. Do you have an employment opportunity you would like to share with our membership? See our Career Opportunities page for more information! On Tuesday, the FCC issued a memorandum opinion and order concluding the investigation into Aureon’s interstate switched transport rate. The FCC found that Aureon’s proper switched transport rate should be the same as the applicable CLEC benchmark rate of $0.005634, or at its cost-based rate. The FCC also found that Aureon’s cost-based analysis was insufficient to justify its tariffed rate for interstate switched transport services, and it directed Aureon to recalculate its interstate switched transport rate consistent with this order and to amend its Tariff F.C.C. No. 1 to reflect the lower of the CLEC benchmark rate or the corrected cost-based rate. The FCC has issued an Order in the ongoing dispute with AT&T that started in 2014 when Aureon filed a complaint in federal district court alleging AT&T failed to comply with Aureon’s state and federal tariffs. AT&T counterclaimed, and the case was referred to the FCC, which issued an Order in November 2017 partially granting AT&T’s complaint against Aureon relating to CEA traffic. In December 2017, Aureon filed a Petition for Reconsideration of that Order, claiming that the FCC failed to provide fair notice that it would apply a rate cap and state parity rules and classify Aureon as a CLEC, and therefore should apply the new rates prospectively only. On August 1st, the FCC issued an Order on Reconsideration that agreed with Aureon that the rates in its 2012 tariff do apply, but also re-affirmed that the 2013 tariff was void. It also affirmed that the rates from its November order should be applied retroactively. The FCC said that the case should now proceed to the “damages phase.” Click here to read the Order. During its Open Meeting yesterday, the FCC approved a report and order that will permit “one-touch make-ready” procedures that allow new attachers to opt to perform all the work to prepare a pole for a new attachment, including moving existing attachments. The FCC also issued further reform of its pole attachment process including a declaratory ruling that says section 253(a) prohibits state and local moratoria on telecommunications facilities deployment. The final text of the Order is not yet released; click here for more information and commissioner statements. USDA has announced awards of $97 million for twelve projects in eleven states through the Telecommunications Infrastructure Loan Program and the Community Grant Program. In Iowa, Andrew Telephone received a loan of about $2.75 million to replace its copper facilities with a FTTP system that includes 71 route miles connecting 230 residential and business customers. Click here for more. The USDA is seeking comment on how to implement its $600 million broadband loan and grant pilot authorized by Congress this year. For more information, go to the USDA E-Connectivity pilot program press release. The FCC released a Public Notice advising all video and broadcast providers of the nationwide combined test of the Wireless Emergency Alert and Emergency Alert System test at 1:20 p.m. central time on September 20th, with a backup date of October 3rd. Form One – Due August 27 -- FCC rules require annual renewal of ETRS Form One Identifying and Background Information. Form One includes your system location, EAS equipment, monitoring assignments, and EAS contact information. Information from your previously filed Form One will be used to prepopulate the 2018 Form and should be carefully reviewed for accuracy. Subsequent corrections to the Form One information may be made up to 30 days after submission (on or before September 26). Form Two – due 11:59 p.m. EDT September 20-- Companies must submit their “Day of Test” information to verify receipt and retransmission of EAS message. The semi-annual cable copyright statement of account forms and royalty payments for the first half of calendar year 2018 are due to the Library of Congress Copyright Office by August 29. Semiannual gross receipts of $527,600 or more for the January 1-June 30 accounting period must be reported on the SA3 Long Form and require detailed reporting of distant signal carriage. Those with semi-annual gross receipts of less than $527,600 must complete and file SA1-2 Short Form. Brew Tour– September 11, 2018, following the Convergence TV conference. 2019 Welcome Back Reception – January 8,2019. 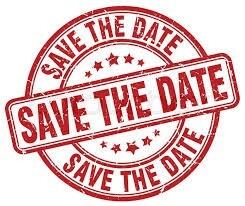 2019 Day on the Hill – February 20, 2019, 11 am – 1 pm. 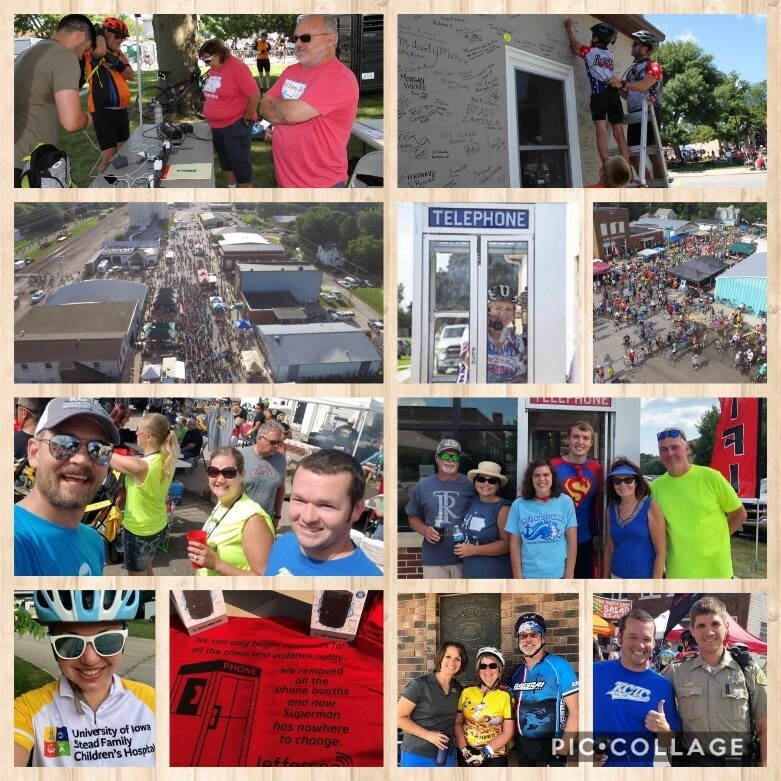 When RAGBRAI rolls through rural Iowa, it takes over towns. So, the telcos take some time to help out. Superman (Daniel Rohner, Jefferson Telecom) even flew in to save the day! Pictured: Telco Friends from Jefferson, Colo, KCTC, Sully, Citizens Mutual, and the Alliance. 2.) exceeds the City’s powers under Iowa Code chapter 480A. 2.) Iowa Code chapter 480A authorizes the City to collect fees to cover costs that (1) the City has actually incurred in managing the rights-of-way, (2) are reasonable, and (3) are caused by the public utility’s activity in the rights-of-way. Background: Iowa law requires municipalities to give private companies access to their rights-of-way, but allows municipalities to charge fees related to that access. At issue in this case are fees for “management costs,” which Iowa municipalities can charge to public utilities that use the rights-of-way. Beginning in 1998, the City calculated the fee each year based on each individual carrier’s total feet of line. Between 2002 and 2015, the management fees ranged from $0.0083/foot to $0.009/foot. In 2015, the City amended its management fee ordinance; this amendment went into effect on January 1, 2018. Under the amended ordinance, the City adopted a schedule whereby it would increase the fee by $0.02/foot every year until it reached a target fee of $0.12/foot. With this lawsuit, the Carriers challenge the new fee schedule. 1.) The City’s Ordinance is not in conflict with federal law. The district court found that the Carriers presented no credible evidence to prove the Ordinance would have an actual adverse effect that would eliminate their ability to provide telecommunications services or that increased fees would prohibit the provision of services. 2.) The City’s Ordinance does not violate Iowa Code chapter 480A. The district court found that the Ordinance is competitively neutral and reflects proportionately the costs incurred by the City as a result of the various types of uses of the public rights-of-way. Court of Appeals: The court of appeals vacated (rendered void) the district court’s judgment regarding Iowa law and remanded (sent back) the case to the district court to make additional findings of fact regarding whether the fees are reasonable and caused by the public utility’s activity in the rights-of-way applying the appropriate legal standard. Claim #1 Ruling: Des Moines fees are not preempted by the federal Telecommunications Act. The court of appeals affirmed the district court’s finding that the City’s fees do not violate the federal Telecommunications Act because there was no evidence that the fee increase prohibits entry into the Des Moines telecommunications market. Claim #2: The court of appeals found that the City can satisfy the first element by showing that it has actually incurred costs in conducting, carrying on, supervising, or controlling the public rights-of-way. Regarding whether the fees are reasonable and caused by the public utility’s activity in the rights-of-way, however, the court of appeals found that an inappropriate legal standard was employed and that the case requires further fact finding. Former Executive Director of the ICN, Ric Lumbard died on July 25th, about one year after suffering a debilitating heart attack in the summer of 2017. Learn ways to save your town and get involved to be a better leader! Comments on "Iowa Communicator -- August 3, 2018"